RandomTweaks is a mod that implements a bunch of miscellaneous tweaks and small features. When installed on the client, it is completely compatible with vanilla servers, and when installed on a server, it is completely compatible with vanilla clients. This also means that the client can connect with a different version of the mod to the one on the server. 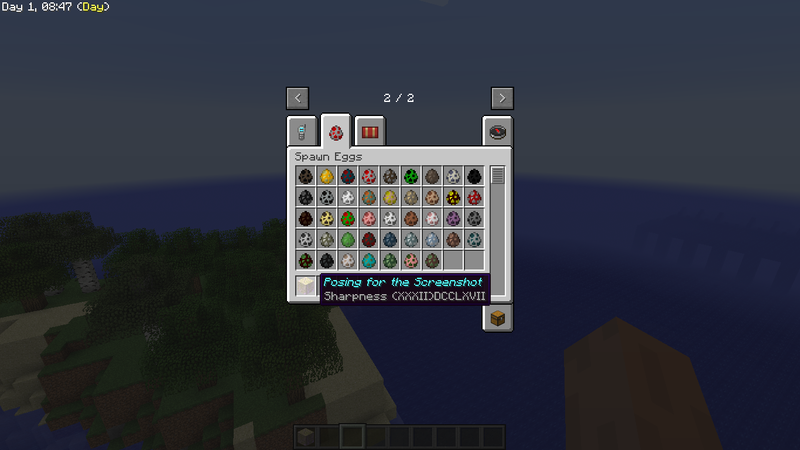 Because of this, RandomTweaks does not add any items, blocks, enchantments, etc. On 1.12.2, RandomTweaks requires Forge 1.12.2-14.23.4.2718 or higher. Feel free to report issues and post feedback. Sheep colors are randomized on spawn. The color weights can be configured. Bats have a configurable chance to drop a piece of leather. Tamed ocelots can be healed with fish. Tamed parrots can be healed with seeds. Pets do not take damage from their owners or their owners' other pets. This was taken from Friendly Fire. Randomized animal ages. By default, there is a 1 in 10 chance that an animal spawns as a baby. Option to set the max squid pack size and the amount of squids that can spawn in one chunk. You can also set how far a squid can spawn from a player. This was taken from Squidless. Option to remove underwater fog. Option to disable the Ender Dragon death and Wither spawn broadcast sounds. Option to disable the potion icons at the top right. This is disabled by default. Option to stop potion effects from moving GUIs to the right. Option to move the Bucket to the Tools creative tab. Options to add the Command Blocks to the Redstone creative tab and the Dragon Egg to the Decorations creative tab. Option to give the spawn eggs their own creative tab. There is also an option to add spawn eggs to this tab that spawn entities without AIs. The idea for this was taken from No AI Spawn Eggs. Stepup can be toggled with B and works with Jump Boost. This is disabled by default. Auto-third person is enabled by default for elytra, but also works for boats, horses, minecarts and pigs. A 'ding' sound effect that plays when Minecraft starts or a world is loaded. A random sound is chosen from one of the configured sounds at the configured pitch. This ignores Dynamic Surroundings' "Mute when Background" feature unless ding.ignoreDsurroundMuteWhenBackground is set to false in the configuration. Time of day overlay that shows the current day, the time and whether it is night or day. It is disabled by default. There are several configurable options, such as whether it is enabled if doDaylightCycle is false, whether it is enabled by default, whether it is enabled in GUIs, etc. Keybind to enable FoV changes. This is bound to Shift+, by default. 'Noclip' keybind that toggles between /gamemode creative and /gamemode spectator. This is bound to Shift+F4 by default. Keybind to reload the sound system. When the default audio device is changed, Minecraft doesn't update to the new one. Bluetooth headsets tend to disconnect a lot, so this issue can become very frequent. This is bound to Shift+F8 by default. Option to start the game on the Multiplayer screen. This can be used with ServerObserver so the game can join a server without any user input after launching. Options to disable the flashing effect (enabled by default) and configure the brightness of the Night Vision effect. This was taken from No Night Vision Flashing. Configurable armor equip/unequip sounds in the inventory. This was taken from Armor Sound Tweak. Cobwebs can be burned by right clicking on them with configurable items. By default, this feature is disabled. 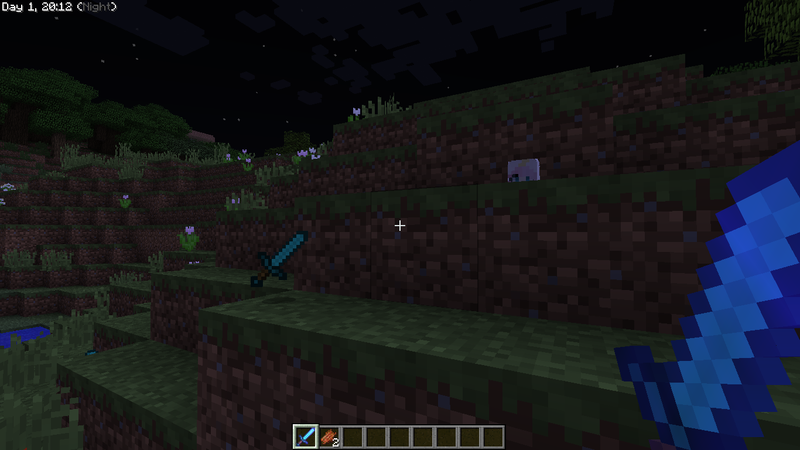 The default items are flint and steel, fire charges and torches. The item consume/damage amount can be configured and are 1 by default. The burn sound can be configured. There is also an option to make cobwebs flammable. If this option is enabled, by default, cobwebs are given a spread speed of 15 and a flammability of 70. This idea was taken from Realistic Cobwebs. /deletegamerule. When you make a typo while setting a gamerule, you have to manually edit level.dat to get rid of it. This command fixes that. /disconnect. This is client-sided and disconnects the player from the server (or world) they're playing on. /give tweaks. Allows /give to accept integer IDs, amounts higher than 64 and ore dictionary names prefixed by "ore:'. Instead of typing /give @p dye 1 15 for bone meal, you can type /give @p ore:dyeWhite. /help tweaks. This basically does what HelpFixer does (which is licensed under the WTFPL). /hunger. Allows you to set a player's hunger and saturation. /rtreload and /rtreload client reload the RandomTweaks configuration. "disableNetherPortalCreation" gamerule. The name is configurable. Use this in conjunction with RandomConfigs to force-disable Nether portal creation globally or for specific game modes and world types. This gamerule only works on Minecraft 1.12 and above. "fallDamageMultiplier", "drowningDamageMultiplier" and "fireDamageMultiplier" gamerules. The names are configurable. It can be used to disable fall/drowning/fire damage, or if the value is negative, even to heal entities when they fall/drown/burn. Option to carry excess hunger level to the saturation. Option to halve exhaustion values. Option to set the hunger reset behavior on respawn. By default, player's hunger are not reset when keepInventory is true, which prevents them from abusing keepInventory to regain hunger. This has no effect in creative mode. If hunger.enabled is set to false, all hunger tweaks are force disabled. 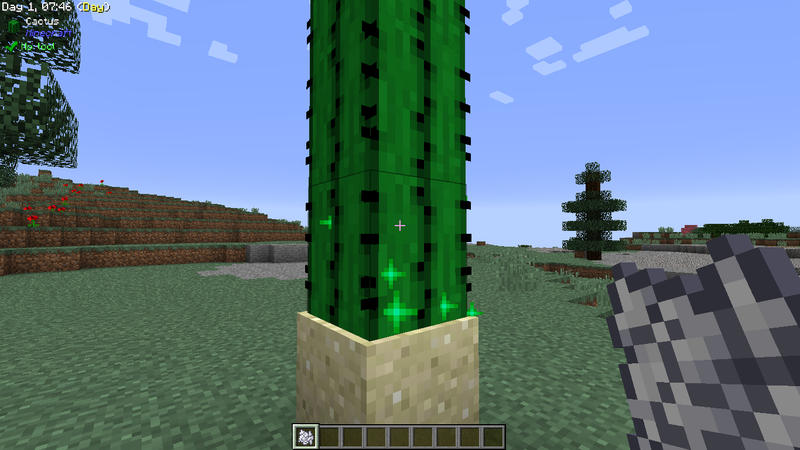 Bone meal works on cacti, sugar canes and nether warts. Option to set the base attack speed for players. Setting this to 24.0 removes the attack cooldown. There is also an option to disable attacking during the attack cooldown. RandomConfigs allows you to set different attack speeds for specific items. Better button names. This renames the stone button to "Stone Button" and the wooden button to "Wooden Button". To prevent any issues with foreign languages, this is disabled by default. Localized names for the Nether portal, End portal and End gateway. Death punishments. This can be set to be always enabled or only enabled if keepInventory is true. All XP and 3 hunger points are removed. This has no effect in creative mode. Option to disable the cumulative anvil cost. When an item is repaired in an anvil, its repair cost increases. When the repair cost hits 40, it can no longer be repaired. This option prevents the repair cost from increasing. Option to set the farmland trample behavior. By default, farmland cannot be trampled by an entity if it has Feather Falling on its boots. More Roman numerals. Minecraft technically supports enchantment levels from -32768 to 32767 and potion levels from -128 to 127, but has localizations for very few of them. RandomTweaks generates these localizations at runtime. Option to allow arrows shot by skeletons to be picked up. This is disabled by default. 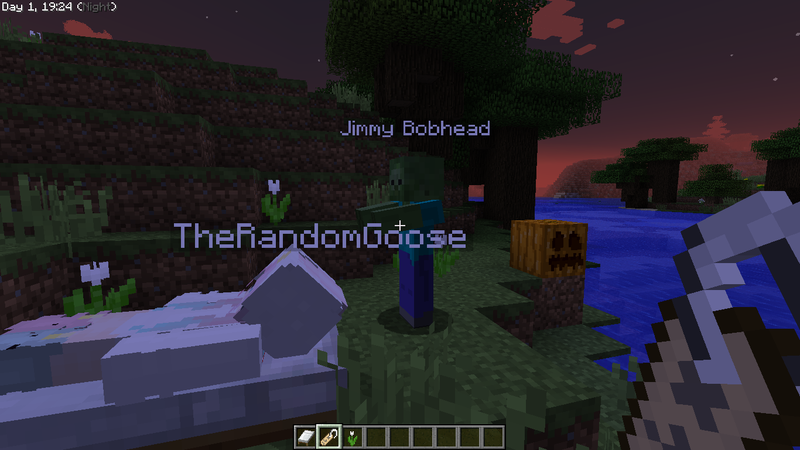 Option to allow players to sleep near mobs with custom names and an option to disable the bed proximity requirement for sleep. If either of these options are enabled on a version of Minecraft older than 1.12, 1.12+ bed behavior is used. Players drop their heads when they die. The drop chances can be configured. To ensure head stacking works properly, it is recommended to also install RandomPatches. Living entities with custom names drop name tags when they die. This is disabled by default. Maps update even when they are not being held by a player as long as they are in a player's inventory. This was taken from Crowmap. Players can shoot bows enchanted with Infinity without an arrow in their inventory. This was taken from Bow Infinity Fix. The Realistic world type by u/Soniop. 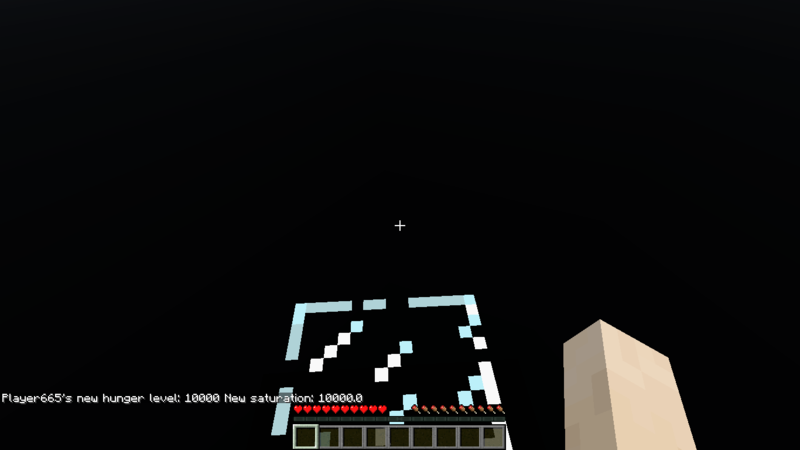 The Void world type, a completely empty void world with only one block to stand on (or not, if you've set it to air). If a player respawns and there's no block to spawn on, the block will be placed again. 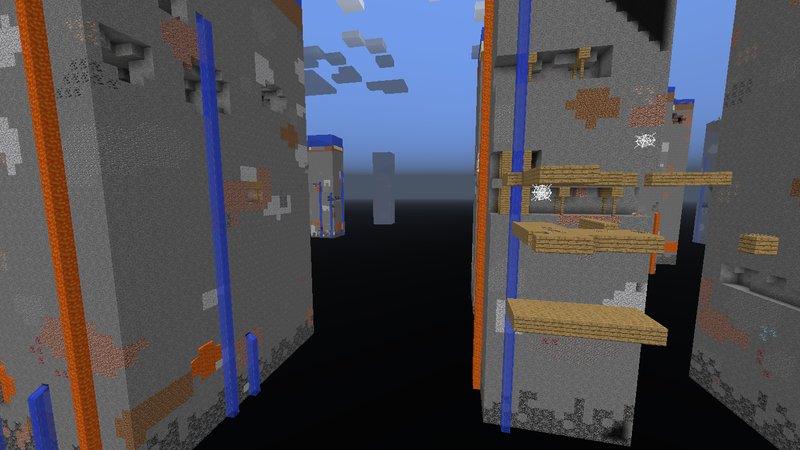 The block and biome(s) are configurable. Mob spawning can be disabled globally for all Void worlds. The Void Islands world type, which is the same as the Realistic world type, but most of the chunks are empty. The rarity of non-empty chunks and biome(s) of empty chunks are configurable, and can also be configured so that only the spawn chunk is generated. 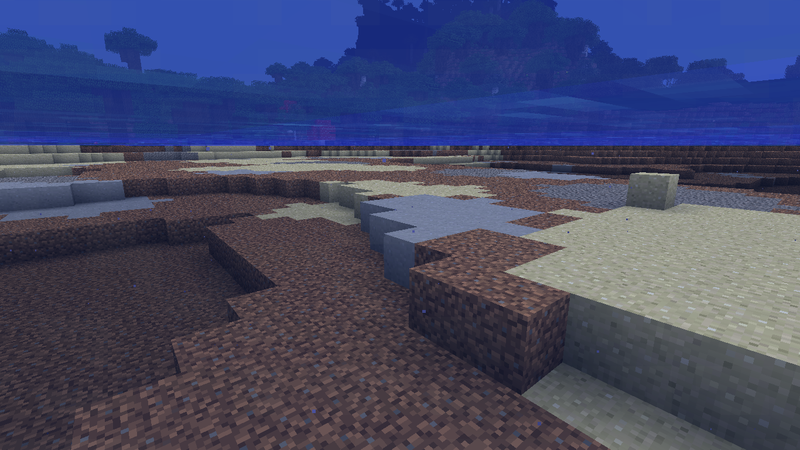 Clay, dirt and sand generation on the ocean floor. This idea was taken from Ocean Floor. Experimental fix for duplicate entity UUIDs (disabled by default). This was taken from Duplicate Entity UUID Fix. Option to force mobs to drop loot even if they weren't killed by a player (disabled by default). This was taken from Always Drop Loot. Every feature is configurable from the files in config/randomtweaks and the in-game configuration GUI. I try to set non-intrusive defaults that don't mess with balance, for example, the time of day overlay and stepup features are disabled by default. Most features disable themselves if similar features are implemented by another mod. By default, RandomTweaks stores the client toggle states (time of day overlay, stepup, FoV changes) in local/client, but there is a configuration option that moves it to config/randomtweaks. RandomPatches (1.8-1.12) is essentially RandomTweaks but with features that require a coremod. RandomPortals (1.12) implements vertical End portals and lateral Nether portals with a focus on configurability and allows modpack authors to define their own portal types. VanillaDeathChest (1.12) places chests (or shulker boxes) where players die containing all of their items. For modpacks, check out RandomConfigs (1.10-1.14 Snapshot) which allows you to set default configurations, gamerules, difficulties, world borders. Most mods from LightChocolate (which is very outdated at the moment) like Dynamic Surroundings and Mo' Villages are nice additions to vanilla Minecraft. There are also many other cool vanilla-style mods such as Sound Filters and FindMe. Maybe I'll get around to compiling a list of them some day. No problem. If the modpack is not hosted on Curse, just post a link to this page. "Option to carry excess hunger level to the saturation." Could you explain this setting? In vanilla, hunger cannot exceed 20 points. With this configuration option enabled, any hunger points that cannot be added to the current hunger level are carried over to the saturation instead. is the realistic world type compatible with biomes o' plenty and dynamic trees? It should be, but test it out for yourself! Is there a 1.7.10 version? I have a mod set, and I would like this mod with the others. Thanks in advance for reading this! No, sorry. I'm not backporting this mod to anything older than 1.10. Suggestion: a command that will change the gravity. for EXP there would be options to disable the overall spawning and the XP bar. for hunger there would be added options to disable the bar and the whole hunger system (basically going back to the beta system of eating to get health, and perhaps an option to disable the whole eating animation). Then a visual tweak, that would be to disable the arm sway when moving the camera around (by mouse). I'm not sure all of these features fit into RandomTweaks, but I'll see what I can do. My game seems to be crashing whenever I open up the controls menu. "It looks like you are using an unsupported modified version of the game." I am using version 1.12.2 if that helps. Someone else has already had this issue, but I have been unable to reproduce it. Can I have a crash log? Never mind, I've figured it out. This will be fixed in 1.12.2-2.4.0.1. The client-side option "disable the Ender Dragon and Wither death broadcast sounds" Does it do the same thing as Bad Wither No Cookie - Reloaded? Bad Wither No Cookie - Reloaded allows you to block any sound, whereas RandomTweaks only disables the Ender Dragon and Wither broadcast sounds. Every time an item is repaired in the anvil, its repair cost increases. When the repair cost hits 40, it can no longer be repaired. That option prevents the repair cost from increasing. Oh! That makes sense, thanks for the help. The section on hunger doesn't include a description for "Enable all hunger tweaks". Does this just let you turn on/off the rest of the settings without changing them individually? Thanks, BTW, this is the one mod of it's type that I HAVE to have.